Be the first on court to rock the Lucky in Love Women`s Laser Pleat Tier Tennis Skort! This skirt has beautiful laser points that create a unique pattern that`s so feminine. The layers over inner shorts create the perfect silhouette for a day of league play or drills. Moisture wicking fabric and 4 Way Stretch means this skirt will perform as hard as you do on court. 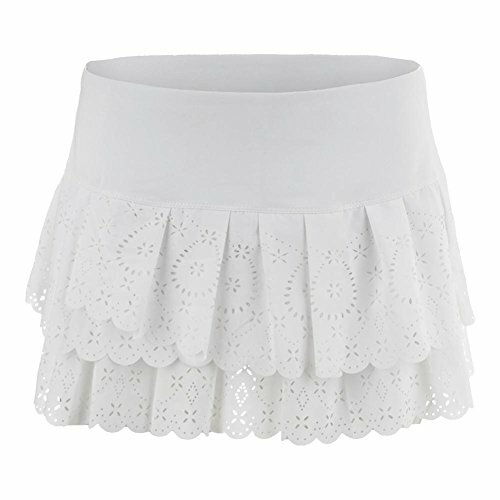 Be the first on court to rock the Lucky in Love Women`s Laser Pleat Tier Tennis Skort!